Select your preferred date from the calendar, specify number of passengers, and hit the "Book" button that will take you directly to the "Checkout" page. On the checkout page, specify your flight number, arrival time and hotel / guest house name. We kindly ask you to fill out this information to help us provide the most reliable and expedient service possible. Luggage allowance per person is one standard suitcase and one item of hand luggage. The pickup location was easy to find and the driver was on time! EXCELLENT SERVICE! The car that picked us up was a Mercedes van, very comfy. The driver were very lovely and friendly too. Service was wonderful and our driver was amazing! Prompt and professional. Muy puntual y un chofer muy atento y educador. 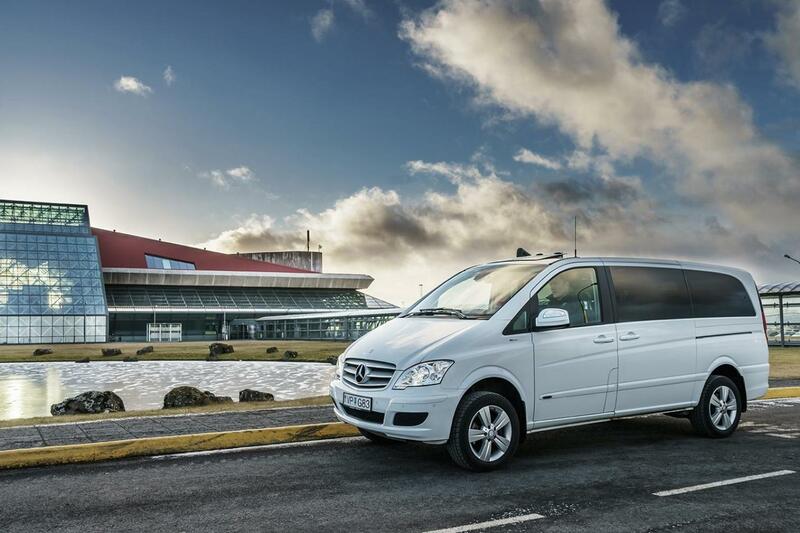 This one way private transfer ensures you a fast, economical and comfortable journey from Keflavik Airport to a destination of your choice, whether in Reykjavik city, surrounding municipalities or further afield. 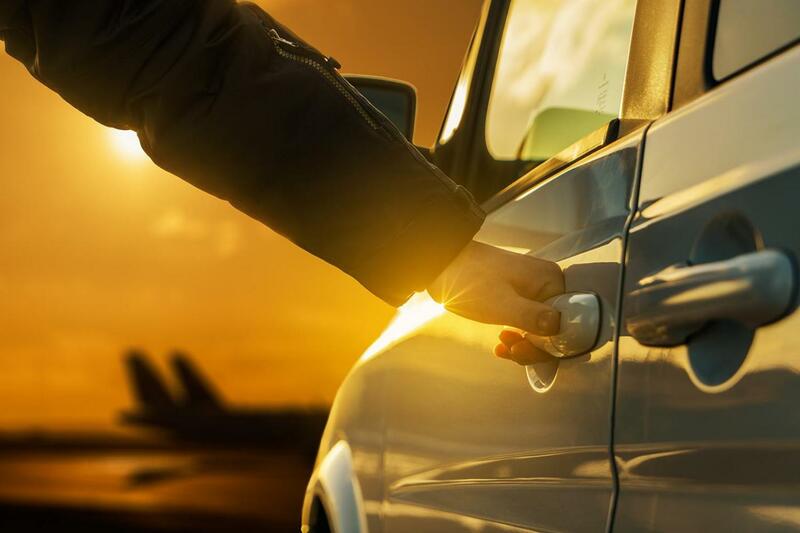 We offer a wide variety of vehicles, as well as courteous and professional drivers that will meet and greet you at Keflavik Airport (KEF) and assist you with your every need throughout your journey. 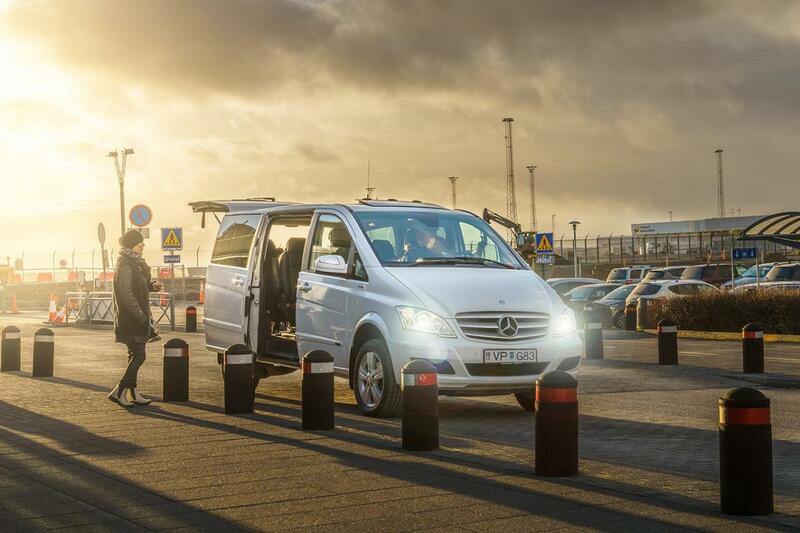 Our private transfer service is available 24 hours a day in connection with all scheduled passenger flights to and from Iceland. 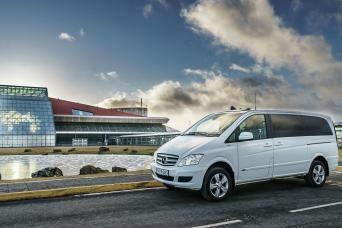 Transfer time from Keflavik Airport to Reykjavik city is about 45 minutes. We pride ourselves on our prompt response times, punctual service, and first class customer service.